A cheerleader taking part in a Coca-Cola advertising campaign during a Kontinental Hockey League All-Star Game 2016 in Moscow. A deputy for the Russian parliament, the State Duma, has asked the prosecutor's office to take action after the soft drinks company posted a map of Russia without Crimea on a Russian social network. Oleg Mikheyev, a State Duma deputy from the pro-government party A Just Russia, has asked the Prosecutor General to consider including Coca-Cola on the list of “undesirable organizations” in Russia for failing to recognize Crimea as part of Russia in one of its promotional maps. 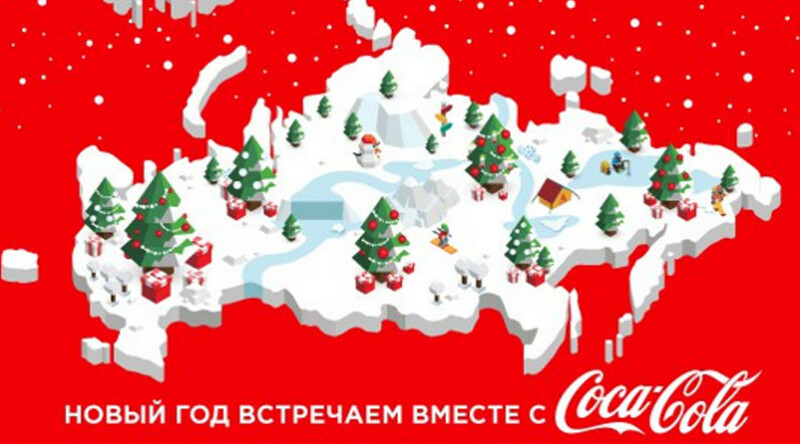 Coca-Cola posted a map of Russia without the disputed peninsula on popular Russian social network VKontakte as part of its Christmas advertising campaign, causing a wave of indignation among locals. One of the Coca-Cola maps that shows Crimea as part of Russia. Source: VKontakte screenshot. A few days later the company apologized and posted a map with Crimea as part of Russia, which resulted in Ukrainian prosecutors opening criminal proceedings based on this fact. In early January, Coca-Cola deleted all the images on the map. Mikheyev accuses the company of neglecting Russia’s territorial integrity in order to promote its products. This, according to the deputy, could be used to open an investigation against the company on charges of extremism.